Internet searches for more obscure topics can sometimes feel like the old needle-and-haystack conundrum. If what you want is out there at all, finding it can be a stretch, even for Google. Images and video present an even greater challenge. Unless they're tagged or labelled accurately, it's often a matter of wading through thousands of possible matches. To address the problem of finding visual material more efficiently, Hitachi has come up with a technique that it claims can accurately search millions of images in a flash by analysing their colour and shape. The unnamed search technology relies on software that analyses photos or videos and assigns each a numerical value based on colour distribution and shape. It then groups together results with similar values and - most likely - similar attributes. For example, anyone looking for a photograph of an elephant will not be presented with pages of pink cartoon elephants or anything with a misleading label. Rather, they'll get a group of results containing large, grey, animal-like images, most of which will be real elephants or similar animals. From there, the software can narrow things down still further according to the original search query to eliminate rhinos, hippos and other beasts before presenting the user with an accurate match. 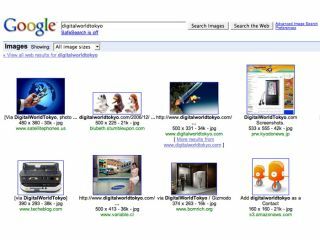 At present, the search technique is limited to a local PC and attached hard drives, although it can't be long before such visual searching becomes as common as text-based searches are now.